Hello! Taylored Expressions has gotten in several new colors of wool felt and they are fabulous!!! 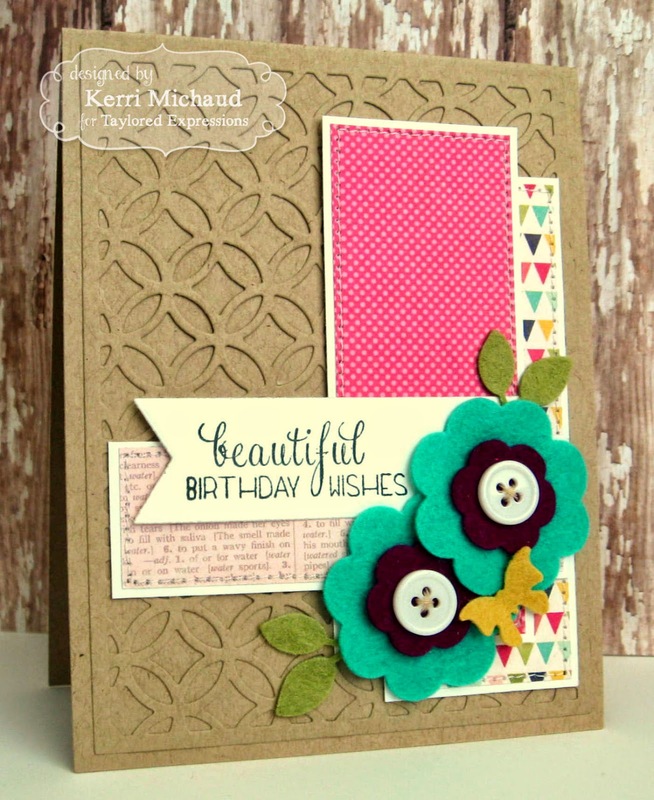 I made a pretty little card today using some of the gorgeous new Caribbean and Dark Berry colors. 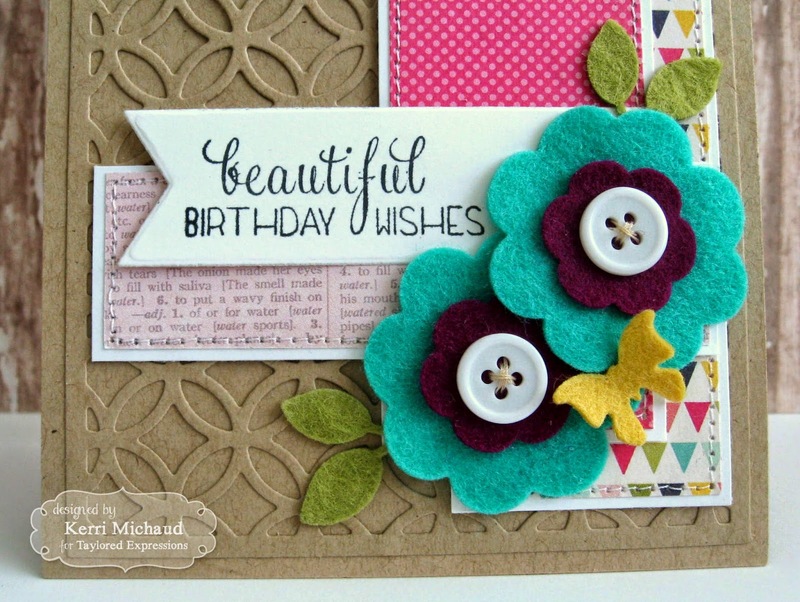 I cut the flowers out using the Summer Lovin' Dies and stitched on some buttons for the centers. The leaves were cut out of Split Pea felt using a Branches, Banner, & Bloom Die and the butterfly out of Sunflower felt using an In Flight Overlays Die. The dp is Echo Park Spendid Sunshine and the layout is the Deconstructed Sketch #159. That's it for me today! We are heading out on vacation this afternoon and I am so looking forward to hanging out in the Smoky Mountains for a week:) Thanks for stopping by and have a wonderful weekend!